This is my go to flat bread recipe. We use it for bread, pizza, burger buns, etc. It’s simple, straightforward and very versatile. Mix the dry ingredients together in a bowl or mixer. Mix the wet ingredients, then add them to the dry and mix and knead together like bread dough. 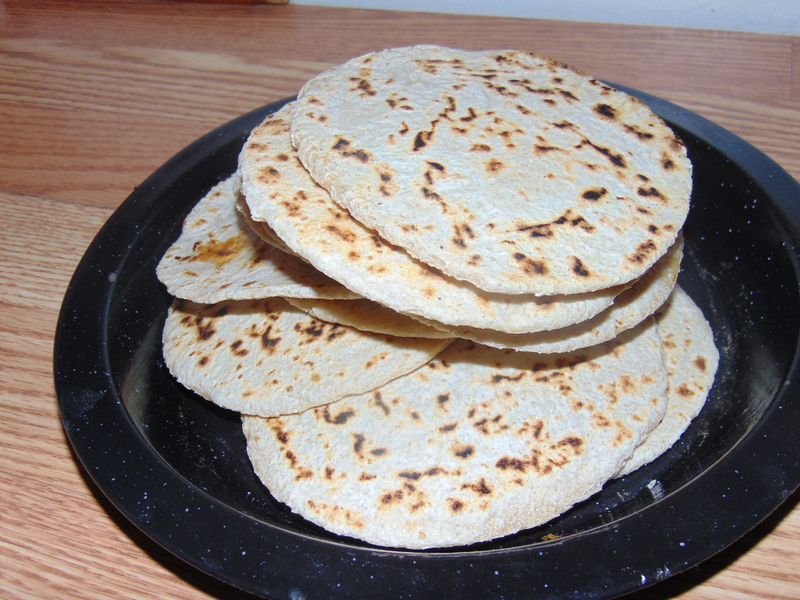 For a normal size flatbread, divide the dough into 16 pieces. For small flatbread, like burger buns, cut into 32 pieces. Form into balls. Roll the dough balls out one at a time. I use this Victoria Cast Iron Tortilla Press, and love it. You can also use a rolling pin, but it’s more work. Cook the bread on the skillet, one at a time for the bigger ones, up to 4 at a time for the smaller ones. Watch for bubbles forming as an indication to flip. Then cook the reverse side until you get a nice browning pattern. This is more art than science. You’ll get a feel for how long you like to cook the bread. I go by the look of the bread. My mother in law times it. Keep pressing or rolling the dough balls, and then cooking them.